Delightworks has announced the upcoming addition of a new servant to Fate/Grand Order, Violet Evergarden, the titular lead character from the 2018 Kyoto Animation anime. The addition of Violet Evergarden was spearheaded by Takeuchi Takashi, designer of Fate characters such as Saber, Joan of Arc and Mysterious Heroine X. 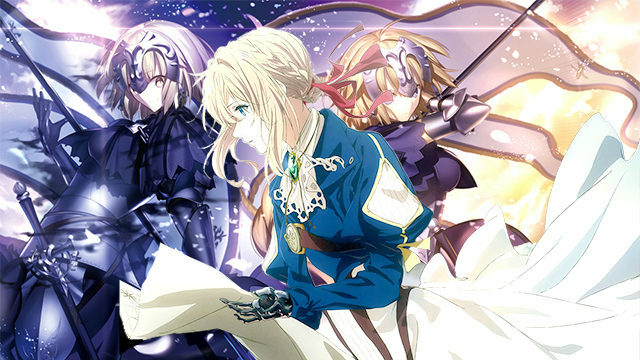 Reportedly Takeuchi watched Violet Evergarden and was immediately drawn to her “unique” character design, and insisted that she be added to Fate/Grand Order immediately. Violet Evergarden will be added to the game under the Archer class, due to her qualifications of not using a bow and arrow in battle like other Archer servants. The addition of Violet Evergarden has drawn some criticism from long-time fans of the Fate series, who insist that servants are supposed to be based on ancient heroes, and think that she will not mesh with existing servants such as Shiki Ryougi, Jaguar Man and Nagito Komaeda. Fans have also preemptively speculated that Violet Evergarden may need to be nerfed, due to her special skill “Aishiteru,” which causes all enemies on the field to weep uncontrollably for 20 minutes. The three body paragraphs were great! Here’s something I spent way too much time making: an FGO stats sheet for Violet Evergarden as if she were a servant. Hope you enjoy!